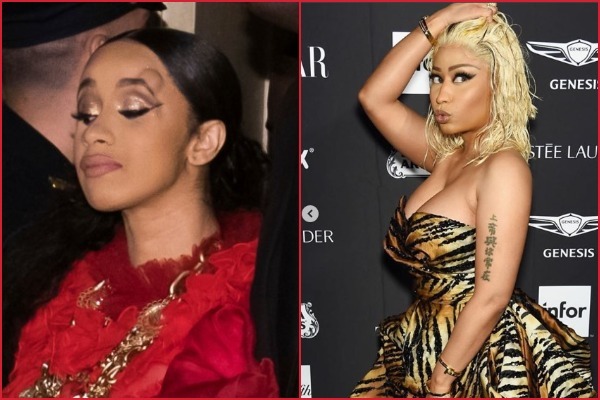 Cardi B Throws Her Shoe At Nicki Minaj At NY Fashion Week For Dissing Her Daughter Kulture! Cardi B reportedly exited the party with a large bruise above her right eye as she left the party. The back of her dress was also torn. A mama bear does whatever is needed to protect her cubs and American rapper Cardi B is one fierce mama bear! On Friday night at Harper’s Bazaar Icons Party, at New York Fashion Cardi B and Nicki Minaj’s on-going cold war went to whole another level when the ‘Super Bass’ singer dissed ‘I Like It’ singer’s daughter— Kulture Kiari Cephus. As per reports, the incident happened during Christina Aguilera performance. In the videos that have now gone viral we can see Cardi B lunging at someone. In one of the videos we can see a red gown clad Cardi removing her shoe and shouting: “I will f**k you up!”, while people in the background were talking about her daughter Kulture. 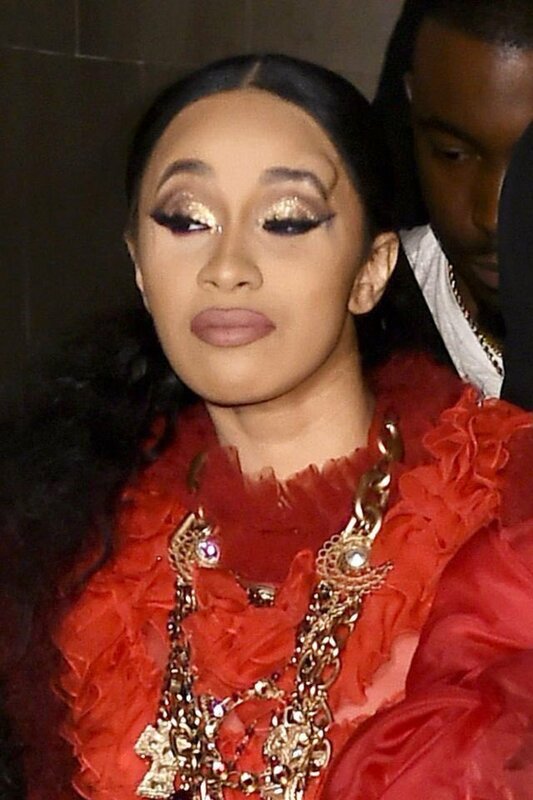 In another video and pictures that have been released we can see a smiling Cardi B being escorted out of the party with one less shoe and a lump on her forehead near her eyebrow. Although it is unclear in the videos who Cardi B lunged at, on lookers say that it was Nicki Minaj. Post the incident, Cardi B turned to Instagram and explained her side of the story. Through the post Cardi B has called out this person for sabotaging her career and her success as other artists were threatened not to work with her. She went on further by explaining how she let this person talk flak about her without doing anything. However, Cardi wrote that dissing her daughter and criticising her parenthood practices was the last straw for her. Cardi B concluded the post by stating that women act all tough when it comes to rapping but in real life they are sissies. Although in the post she doesn’t name anybody—it is clear that Cardi B is calling out rapper Nicki Minaj. Through this near-brawl we have learnt one thing—diss the artists’ works, clothes, choices as much as you’d like but children are off limits. We hope Nicki Minaj knows that now. As for now, the investigation of the matter is still ongoing. Nicki Minaj is yet to respond Cardi B’s Insta post. Previous : Saath Nibhaana Saathiya Producer Rashmi Sharma Blessed With Twins Via Surrogacy!